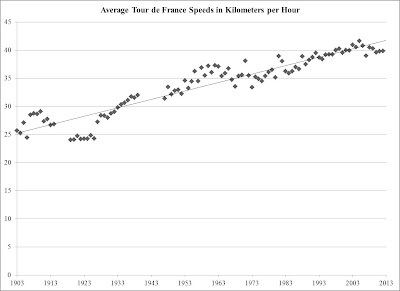 Is the men's Tour de France getting faster over time? Yes. Yes, it is (p<0.001). 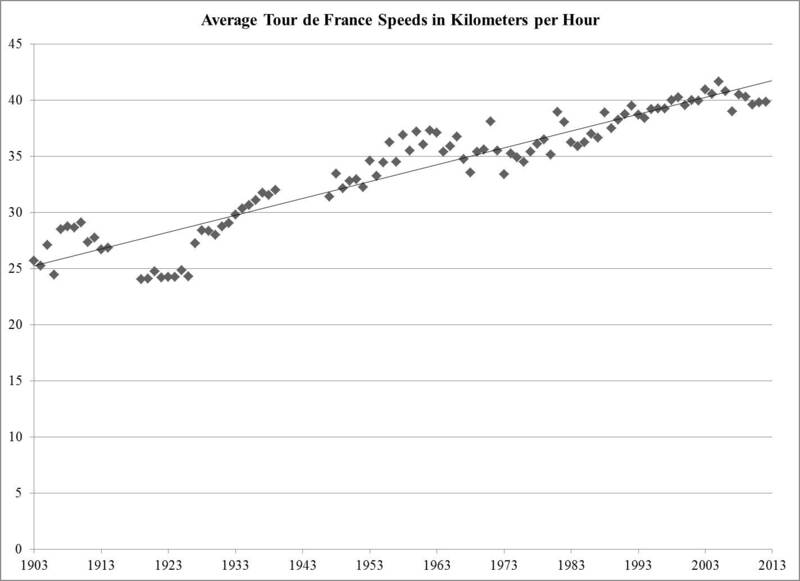 The winners are adding 0.15 kph (0.09 mph) per year on average. The data predict an average speed of 41.741 kph (25.936 mph) for the winner this summer.